Will Quebec Tragedy Derail Heavy Oil Upswing? Canada’s heavy oil producers are reveling in a price rebound, but its spurred by increased rail shipments, shadowed by the tragic Quebec train crash that killed an estimated 47 people. On July 6, a runaway train jumped the tracks in Lac-Mégantic, causing a series of explosions that leveled the downtown core. This tragedy has sparked a flurry of emergency directives to increase railway safety, but there is no sign of shipments of oil by rail slowing as a result. Indeed, the oil-by-rail industry is set to grow despite the catastrophic derailment, and amid a criminal investigation that has resulted in a raid on the offices of Montreal, Maine & Atlantic (MM&A), the train’s operator, on 25 July. 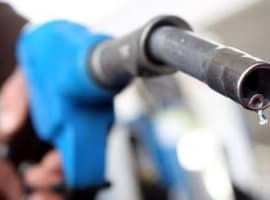 The Quebec disaster comes as Canadian heavy oil prices undergo a reprieve from the dark days of January, when it was trading at only 50% of the World Brent Crude price. For July, Canadian heavy oil has reached around 83% of World Brent crude prices, where it traded at over $91 per barrel. 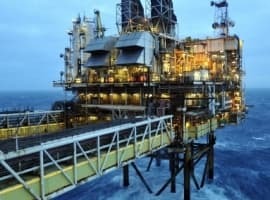 According to a 17 July report by PI Financial, heavy oil fundamentals are improving rapidly thanks to expanding pipeline and rail capacity, and we could now see an end to the sell-off by heavy oil producers—the “high beta subset of the energy sector”. PI notes that it’s not predicating this on any “wholesale expansion announcements” just as whether Keystone XL is approved or not. Oil producers have increasingly turned to rail for shipping crude to refineries with pipeline projects such as Keystone XL stalled by regulatory delays. It is this increased rail capacity and activity that has helped spur things along for heavy oil. 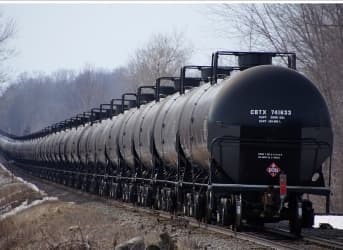 The percentage of oil shipping by rail in Canada tripled between 2011 and 2012, and the US State Department predicts an increase over this of 42% by 2017. If rail does end up taking a harsh regulatory hit due to the Quebec tragedy, the pending approval of Keystone XL would add pipeline capacity to make up for it. So forecasters see a silver-lining either way. Also boosting heavy oil prices has been an easing of pipeline bottlenecks thanks to new US Gulf Coast pipelines, and analysts interviewed by Bloomberg are advising investors to get prepared for more gains ahead of the Keystone XL decision. Speaking to Oilprice.com, Alberta Oil Sands (AOS) CEO Binh Vu said he didn’t foresee heavy oil prices going outside of a range where extremely healthy margins can be made by good operators for their shareholders. “We will be range-bound here at healthy levels,” he said. AOS—which has 106 sections of oil sands leases with a resource base of more than 1.5 billion barrels of bitumen in place in Alberta—is also upbeat on continued strong demand for Canadian oil sands. “Whether it be the US or someone else, there will be no shortage of demand for what the Canadian oil sands can produce. Further, there is a lot more certainty in terms of consistency and longevity of the oil sands assets and their production profile, once they get going,” Vu said. 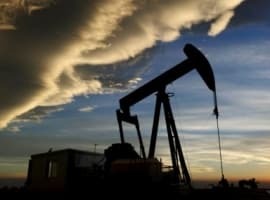 There’s also been good news for Canada’s major heavy oil producers, like Suncor Energy Inc. (SU), Imperial Oil Ltd. (IMO), Canadian Natural Resources Ltd. (CNQ), Cenovus Energy Inc. (CVE) and Baytex Energy Corp. (BTE), which have rebounded on the price rise after taking hits over the Keystone XL delay. Will Big Oil Lose its Alaska Tax Break?